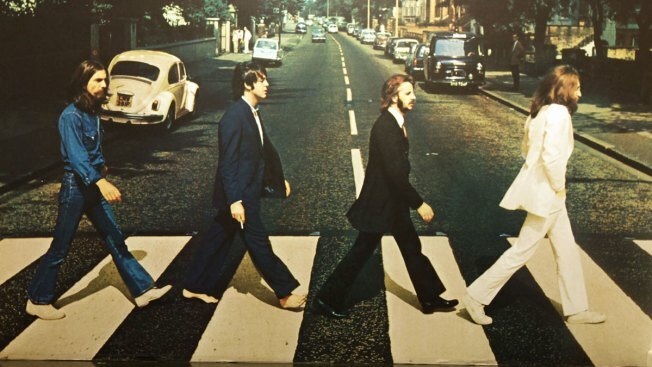 The Beatles stroll across Abbey Road is one of the most iconic images in music. It's been nearly 49 years since The Beatles released their penultimate album, "Abbey Road," as well as the street-crossing cover that accompanied it. But it's hard to imagine that many years have really passed after seeing Paul McCartney re-create that iconic stroll on Monday. The legendary singer-songwriter visited Abbey Road Studios to promote the release of his upcoming record, "Egypt Station," with what was billed as a "secret" performance. But before stepping up to the mic, he stepped across the London street he and John Lennon, George Harrison and Ringo Starr made world famous back in 1969. This time, rather than wearing a suit and walking barefoot, McCartney went casual, teaming up wine-colored jeans with sandals and socks.